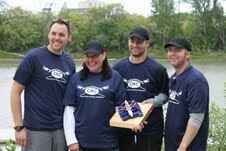 Winnipeg Rowing Club’s annual Community Rowing Challenge Regatta crowned two championship teams on Saturday, September 8. For the first time ever, a media challenge event was held with CTV’s team “There’s Worse” coming out on top. 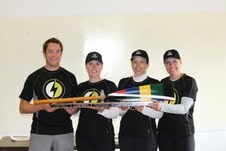 Defending champs National Leasing “Lease Lightening” managed to hold onto their title as overall winners of the Community Rowing Challenge for the second year in a row. Congratulations to all teams and we look forward to having you back next year!